This Week In DOCTOR WHO History: Sept 25th to Oct 1st | Warped Factor - Words in the Key of Geek. 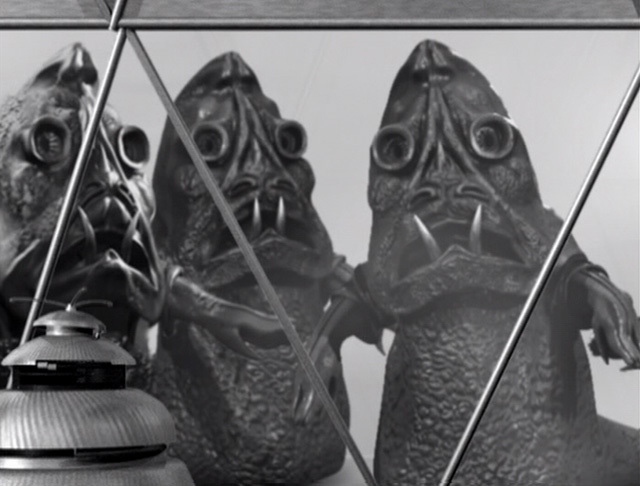 If that picture above doesn't scream 1960s Doctor Who then I don't know what does! 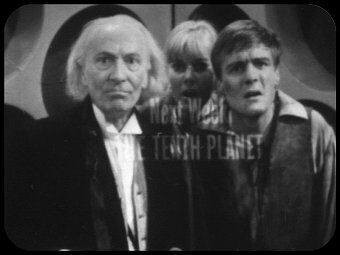 Yes, on this day 51 years ago part 3 of Galaxy 4 (titled Air Lock) was watched by 11.3 million viewers! Staggering numbers, no? Then in 1976 we have part four of The Masque of Mandragora which was broadcast to equally impressive numbers that Saturday evening at 6:12pm, as 10.6 million viewers tuned in to the classic Fourth Doctor adventure. September 26th is a big day for Doctor Who. Specifically Friday September 26th 2003, as that was the day the BBC announced Doctor Who would be returning to the screens with a brand new series written and produced by Russell T Davies. Although little has so far been revealed about how the new Doctor Who series will look - or who will be given the starring role - Davies has clear ideas of the way he wants it to feel. 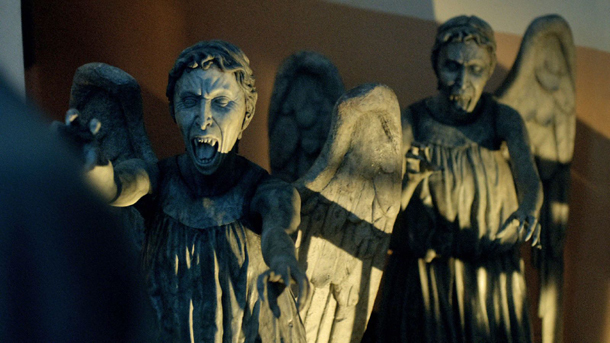 "The new series will be fun, exciting, contemporary and scary," he said. "Although I'm only in the early stages of development, I'm aiming to write a full-blooded drama which embraces the Doctor Who heritage, at the same time as introducing the character to a modern audience." That introduction would of course come on March 26th 2005, when Rose debuted with 10.5 million people watching. 10 years, 5 months and 9 series later, on September 26th 2015, The Witch's Familiar would air for the first time to significantly less viewers. The overnight figures showed just 3.71 million viewers were watching in the UK, making it the lowest overnight figure of any episode since the show returned in 2005. The final consolidated ratings would add 2 million on to that number, putting it in the bottom three lowest watched episodes of New-Who. Oh, in case you're interested the lowest watched episode to date of new-Who (as of Sept 2016) is Sleep No More. 'Nuff said! Part one of Planet of Evil got underway on Saturday September 27th 1975 at 5:45pm. It saw the Fourth Doctor and Sarah Jane head to Zeta Minor, accompanied by a mighty impressive 10.4 million viewers. Not quite as many were watching part one of Meglos, as just five years later the Fourth had lost over half the audience, with 5 million Brits tuning in. Still better than the fourth part of The Trial Of A Time Lord. On this day in 1986 we were reaching the conclusion of The Mysterious Planet, and 3.7 million viewers were scratching their head at who this Valeyard guy really could be! Heading North of the border for the Scottish Doctors section. First up it's back to 1989 and part four of Battlefield, which saw the Seventh Doctor and 4 million viewers wave goodbye to the Brigadier. And wrapping up this bumper Who-filled day it's the Twelfth Doctor taking on a part time job at Coal Hill School as The Caretaker. 6.82 million Danny Pink loving viewers (a-hem) tuned in to catch the marvelous Skovox Blitzer (a-hem). Look! Jamie's back. 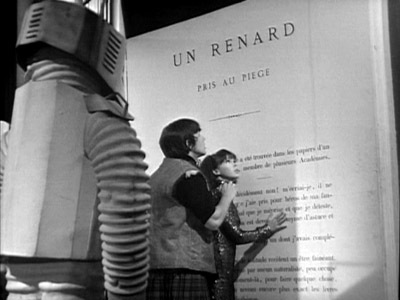 It must be The Mind Robber episode 3, which was broadcast in 1968 and watched by 7.2 million viewers. Then 19 years and 5 regenerations later we have 4.9 million tuning in for the closing part of Time and the Rani. 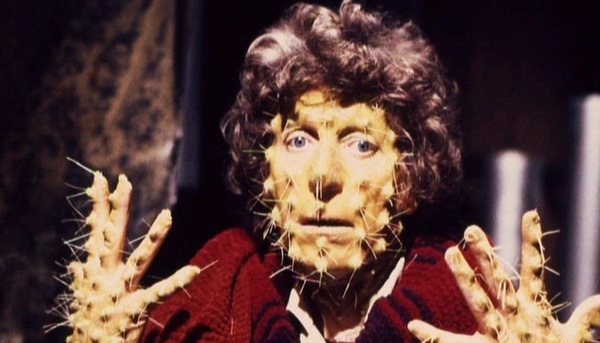 The award for largest audience of the week goes to part one of City of Death, which when broadcast in 1979 at 6:06pm was watched by a massive 12.4 million viewers! But that's small change when compared to part four - which, at 16.1 million, holds the record for the largest ever Who audience! Also on this day Season Two of The Sarah Jane Adventures got underway with part one of The Last Sontaran. Broadcast in 2008 at 4:35pm, it was watched by 0.82 million viewers. September 29th 2012 was the day 7.82 million viewers said "goodbye" to Amy and Rory, their Doctor Who swansong being The Angels Take Manhattan. Not the best coat to wear when there's a Yeti or two around, eh Pat? Yes it's part one of The Abominable Snowmen, which was broadcast in 1967 and watched by 6.3 million viewers. Then, in 1978, we have another new adventure for the Fourth Doctor, it's the second chapter in The Key To Time arc and it comes in the form of The Pirate Planet. A very nice 9.1 million viewers sat down to watch. Back in 1966 episode 4 of the pure historical adventure The Smugglers was watched by 4.5 million viewers, little did they know that in just four weeks time their Doctor would be 'rejuvenating'. Yet another Fourth Doctor treat for you, and it's part one of The Invisible Enemy, which was broadcast in 1977 and watched by 8.6 million viewers. 1.24 million were tuned into part two of The Sarah Jane Adventures story Revenge of the Slitheen on this day in 2007, and we finish this week in Doctor Who history with the 7.67 million guests who were in attendance for The Wedding of River Song on this day in 2011. Did you watch any of these adventures live? Do you remember reading the news of Doctor Who's return? Did Sleep No More send you to sleep? Let us know in the comments below.